The true identity of the man who wrote or contributed to as many as 40 plays, as well as composing two narrative poems and the sonnets whose words have inspired generations of lovers, has been queried, but the brilliance of the writer chosen as the British Man of the Millennium can never be questioned. Very little is known about Shakespeare’s day-to-day movements, so we have selected some of the more interesting locations of his history plays for consideration. Shakespeare’s interpretation of the Wars of the Roses in his history plays, and his depictions of Katharine of Aragon and Cardinal Wolsey in Henry VIII have influenced interpretations of English history for over 400 years. We have looked at some of his sources of inspiration – and summarised some facts about the real-life characters portrayed in Henry VIII. The amount of ink poured out on Shakespeare must rival even that expended on Elizabeth I. For a quick and witty summary, Bill Bryson’s ‘Shakespeare: The World as a Stage’ is very informative. 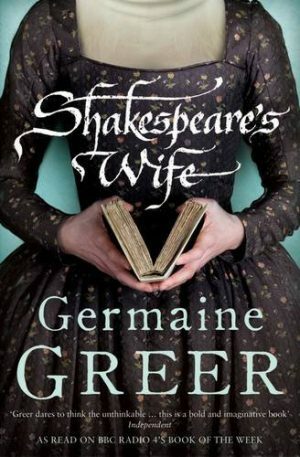 For a more involved, but still readable account, there’s Anthony Holden’s ‘Shakespeare: His life and work’ and for a completely different take, try Germaine Greer’s ‘Shakespeare’s Wife’, reviewed here.